A no-deal Brexit could hike up Ireland’s booze prices, experts have warned. The Alcohol Beverage Federation of Ireland said running costs of distilleries would increase which could lead to dearer pints in the pub. Industry experts say 23,000 trucks in the booze industry cross the border every year – all of which face being hit with massive tariffs if negotiations don’t go well. The impending levies could be as high as €93 per tonne of barley or €131 per tonne on malt. Federation chief Patricia Callan said: “Tariffs would add significant costs to Northern Irish whiskey distilleries and breweries buying barley and malt from Ireland, to Irish craft distilleries and breweries buying specialist malts from the UK and to Irish cider producers buying apples from Co Armagh. “Similarly, tariffs on finished cider products would damage the cost competitiveness of Irish and Northern Irish cider producers, threatening sales and jobs. “We also need to avoid divergence on VAT. Drinks producers in border counties have, at any one time, up to 40 ‘live’ suppliers on the other side of the border. And the group told how job losses may also be on the cards for under-pressure companies. Operators face other threats, including customs checks delays and restrictions on Northern Irish producers for accessing global free trade. Overall Ireland exported €1.6billion worth of alcohol around the world last year. Its biggest market is the UK which accounted for 71% of its beer exports and 85% of cider exports. But this could be hugely jeopardised if cross-government talks fail to get a good result. At BrauBeviale, taking place in Nuremberg from the 13th to 15th of November, Sidel and Gebo Cermex will highlight how high performance coupled with optimal sustainability and agility is the ideal recipe to win in the beverage market. The beverage market in Europe is set to experience a number of considerable changes within the next three years: the industry is anticipating a trend towards smaller size containers coupled with an overall movement towards the multiplication of SKUs and a premiumisation of the package. These trends require utmost flexibility in the production process while simultaneously reducing the Total Cost of Ownership (TCO) in a sustainable setting. As a one stop shop for drink producers, the Sidel Group is uniquely positioned to answer these upcoming challenges by offering future-proof solutions, design expertise, and advanced technology that secure performance over time. At Booth 7A-223, Sidel and Gebo Cermex will be showcasing their unprecedented flexibility to adapt to changing consumer demands with their future-proof solutions. Among them are the new Sidel EvoDECO labelling solutions: designed for total flexibility and optimised for unmatched performance, it gives producers the ability to choose technologies based on their specific labelling needs and output levels. Additionally, Sidel will highlight Sidel Actis™, the plasma coating solution extending the shelf life of beverages bottled in PET, while enabling package lightweighting. As proof points of the company’s secondary packaging expertise, visitors to the Sidel Group stand at BrauBeviale will have the opportunity to get a hands-on experience of the Gebo Cermex’s WB46 - a wrap-around case packer that offers excellent performance in terms of flexibility, hygiene and ergonomics – and of the company’s EvoFilmTM shrink-wrapping system. The latter one is a robust, versatile, highly compact and energy-efficient solution that is drawing on the company’s 50 years of experience in this field. Global warming poses a serious threat to our current way of life, a new UN climate report found. And now it looks like it will cause a shortage of beer in the process, the Fortune reported on October 15. A new study published on October 15 in the journal Nature Plants says that global warming will cause a decrease in barley crops, leading to a shortage of beer and causing a price hike. Barley is susceptible to drought and heat, and the extreme weather conditions in the coming years associated with global temperatures rising could trigger a 16% decline in global beer consumption, Business Insider reported. “The aim of the study is not to encourage people to drink more today,” Dabo Guan, a co-author of the study and a professor of climate change economics at the University of East Anglia, told CNN. Instead, the researchers provided a tangible example of how global warming will impact quality of life by showing its effects on a favorite beverage of the working class: Beer. Beer prices could double worldwide and the U.S. could see 20% decline in beer consumption—that’s about 10 billion cans of beer. Places like Ireland could see a price hike on beer of up to $21 extra for a six-pack, according to Business Insider. “If you don’t want that to happen—if you still want a few pints of beer—then the only way to do it is to mitigate climate change,” said Guan. The study’s researchers said that similar to prohibition-era laws, a global beer shortage will have the biggest impact on the working class. “We have to all work together to mitigate climate change,” said Guan, according to CNN. Heineken will soon launch a nonalcoholic version of its namesake beer in the U.S. as consumers seek out healthier options, CNBC reported on October 11. In January, Heineken will introduce Heineken 0.0 (pronounced zero zero) nationwide. Heineken, the world's second-largest brewer, first launched the beer in Barcelona in May 2017 and has since rolled it out in more than 30 countries. Consumers are increasingly shunning beer and instead drinking wine, spirits and hard seltzers, which they perceive as healthier than beer. Others are drinking less and some are dropping alcohol altogether. Heineken thinks it can reinvigorate the beer category if it can give people more opportunities to drink it. "It's not about a replacement strategy, it's complementary," said Jonnie Cahill, chief marketing officer of Heineken USA. "Sometimes I drink Heineken. Sometimes I drink Heineken 0.0. ... So what we see happening is that this is in addition to our own Heineken position. We see this as an 'and' not an 'instead of purchase.'" The U.S. market for nonalcoholic beer has been relatively small, with Anheuser-Busch InBev's O'Doul's being the most well-known brand. But it and other nonalcoholic beers have become somewhat stigmatized. Heineken hopes to market 0.0 as similar to traditional Heineken just without the alcohol, making it an option for any situation. To highlight this, Heineken will advertise new occasions for people to drink beer, including after a workout or during an office lunch. The beer contains 65 calories, below even light beers like Anheuser-Busch's Michelob Ultra, a brand that has successfully positioned itself as an option for health-conscious consumers. Between 2016 and 2017, Michelob Ultra's volume sales rose about 21 percent in the U.S., according to Euromonitor International. That's as volumes for the overall beer category fell 0.6 percent in the U.S., according to the market research firm. Making beer taste good without alcohol is challenging. Fermenting yeast naturally produces alcohol, which helps give beer its flavor. The main techniques to make nonalcoholic beer are to prevent yeast from producing alcohol or to remove alcohol at the end. These processes can leave beer tasting not quite right. To make Heineken 0.0, brewers remove alcohol but then add back in the fruity aromas that are stripped out along with the alcohol. These aromas give Heineken's beers their taste and smell, said Heineken's global brewmaster, Willem van Waesberghe. As for the taste, he said, "it's a little different, but it's really close to a good beer. I'm talking as a brewer. As a consumer, I'm really, really happy about it." In the United Kingdom, Heineken increased its share of the no-alcohol beer category to 10.4 percent for the year through May from 2.5 percent at the same time last year, according to Nielsen figures provided by Heineken. By volume, nonalcohol beer sales have grown nearly 24 percent while alcoholic beer volumes grew 0.2 percent in the same period. Heineken cannot forecast growth in the U.S. since it's a completely new market for the brewer, Cahill said. Heineken has not even tested the beer in the U.S.
"I can't say where this for sure this turns out, but I can say for us this isn't a January to March go," Cahill said. "We believe the consumer's ready. We believe this is good for beer, and we're going to go for it. So I don't see us blinking anytime soon." Scotland's brewing industry has enjoyed "explosive growth" since 2010 as craft beers have become increasingly popular, according to new research. The Scottish Parliament Information Centre (Spice) found there were 115 breweries across Scotland this year - compared with just 35 eight years ago. More than four-fifths of businesses in the sector were micro-breweries. The study also found that 30% of all brewing enterprises were in the Highlands and Edinburgh. The report said: "Globally, beer consumption has been falling for decades. "However, this has not dampened the significant brewery start-up rate, responding to consumers choosing to drink more expensive, specialised beers. "Scotland's craft breweries have flourished over recent years with a plethora of new breweries entering the market." While just four local authority areas contained breweries in 2010, currently 16 of the 32 separate regions are home to at least one brewing business. "Both urban and rural areas have benefited from the explosive growth of the sector," the report found. Breweries had an average turnover of £271,310 in 2018 - lower than the average business turnover of £673,000. But 10% of breweries had sales levels worth over £1m, while just over half (52%) had turnover levels that were below £100,000. The research also identified 128 malt and grain distilleries in Scotland, giving the country the largest concentration of whisky producers in the world. In addition it found more than 60 distilleries producing gin in Scotland, with more than 110 varieties of Scottish gin available. Overall, the spirits industry makes up 3% of Scottish GDP, with nine out of 10 distilling jobs in the UK being located north of the border. Average turnover across all Scottish distilleries was approximately £5.3m each in 2018, according to the report. A 2% rise in beer duty at next month’s November Budget would mean an additional £125 mln on what UK consumers are already spending annually on pints of beer, The Morning Advertiser reported on October 15. According to CGA, the number of pints of draught beer sold in the on-trade in 2017 was 3,128,113,278. If beer duty is not frozen in November, the cost of a pint could rise by 4p and so based on the number of pints sold last year, this means drinkers would be spending £125,124,531 more. Chancellor of the Exchequer Philip Hammond announced a freeze in beer duty in last year's Autumn Budget, which he said was backing great British pubs. However, figures from the Campaign for Real Ale, which were released in March this year found that 18 pubs a week are closing due to a triple whammy of high beer duty, rising business rates and VAT. Health campaigners have argued that beer duty should rise and the money raised from the tax increase should be spent on the NHS, police forces and alcohol treatment services. British Beer & Pub Association chef executive Brigid Simmonds told The Morning Advertiser that pubs benefit people’s health by combatting loneliness and being part of the community. “Pubs have a really important part to play in health in combatting loneliness, getting people out of the home and the role they fulfil in local communities. Simmonds outlined what previously happened when beer duty saw a rise above the level of inflation. She added: “Between 2008 and 2014, we had a 42% increase in beer duty when we had the beer duty escalator and the tax was 2% above inflation. UKHospitality (UKH) chief executive Kate Nicholls said the rise in beer duty would push people towards buying alcohol from supermarkets. “Duty was among UKH’s asks in our pre-Budget letter, pushing the Chancellor for a range of support, that also included reform of business rates, doubling the national insurance contribution threshold and a freeze in duty to support vital businesses,” she added. “Significant duty increases make drinks in pubs and bars more expensive and would likely have the unintended consequence of people drinking cheaper off-trade alcohol. “Closing venues in which customers can drink responsibly in a supervised environment is not the right way to combat problem drinking. However, health lobbyists for a rise in duty outlined that an increase would actually benefit pubs and that a cut or freeze would impact the licensed trade in a negative way. Colin Shevills, director of Balance, an agency in the north-east that aims to reduce alcohol consumption, told The Morning Advertiser: “There are clear health reasons why beer duty should be increased. Alcohol is 60% more affordable than it was in 1980. “The biggest issues licensees have is competing with cheap supermarket alcohol. When you cut alcohol duty, supermarkets are able to pass those cuts on more readily to the customer and that means it makes it more difficult for pubs to compete. “Evidence suggests to us that not only does it not help pubs but cheaper alcohol leads to greater consumption, which leads to greater harm. “Some 89% of publicans who responded in our survey said they had received no benefit from duty cuts since 2012 and 2013 (survey of 200 publicans across the north-east of England). However, one operator disagrees with Shevills comments and highlighted the way forward in reducing alcohol harm was working together and education. Lee Price, licensee of the Royal Pier in Aberystwyth, Wales, said: “The proposed rise in beer duty is an effective strategy for reducing the number of British pubs and ripping the heart out of communities across the UK. “In the likely event that supermarkets will not fully pass on any increases to its domestic drinkers, cheap booze will stay cheap, and the most common form of alcohol consumption will continue to cause uncontrolled harm. Total beer volume in the US dropped 1.1% last year to 2.8 billion 2.25-gallon cases, the Beverage Information Group's 2018 Beer Handbook reported. That amounts to a fifth consecutive decline in total U.S. beer consumption. The biggest losers last year were light beer, with volumes dropping 3.1% in 2017; popular beer, falling 2.5% last year; super-premium and premium beers, down by 3.7%; and malt liquor, sliding by 4.3%, the handbook said. Craft beer showed the largest jump, growing 4.9% last year to 310 million cases, the handbook noted. Local and regional craft beers have saturated the market, and consumers are trying various brands instead of sticking with a favorite. Imported beers grew by 3.5%, with Mexican imports particularly strong. Flavored malt beverages nudged up 1.3% last year, although growth in that segment has fallen off lately. These volume declines aren't that surprising given how big beer companies have been performing in the past few years. Even industry giants AB InBev and Molson Coors have seen their U.S. sales drop in recent quarters. In the recent past, U.S. beer drinkers have been moving away from domestic lagers and turning to craft beers, Mexican imports and wine and spirits. As a result, total beer shipments dropped by 1.3% last year, with declines coming to major domestic brands — Budweiser (-6.8%), Coors Light (-4.1%), Miller Lite (-2.8%) and the most popular U.S. brand, Bud Light (-5.7%). On the flip side, alcoholic beverage company Constellation Brands has been doing well with its Mexican beer brands, including Corona and Modelo Especial. The company controls 90% of the premium beer market and reported a healthy volume growth of 8.9% in 2017, leading the industry for a fourth straight year. Besides imports, brewers have tried to focus on low-calorie and no- or low-alcohol beers in order to capture consumers interested in health and wellness trends. Bud Light, Coors Light and Miller Lite are all reduced-calorie domestic lagers, and Constellation Brands and AB InBev have also rolled out new lower-calorie beers. However, the beer handbook noted, one reason Mexican imports are so popular is their perceived better flavor and quality, which lower-calorie beers don't always deliver. However, in its most recent earnings report, Constellation reported a bump in sales from its new low-calorie Corona Premier. Other promising areas for the beer industry are taprooms and brewpubs, where sales to customers jumped 24.2% last year, according to The Wall Street Journal. These experience-driven sales, however, may not be enough to stem the tide. U.S. consumers are turning more to wine blends, spirits and cider instead of beer, reports show. According to IWSR market research, tequila and mezcal are tops in this segment, followed by whiskey and vodka. Millennials are fueling some of the change because they tend to like sweeter flavors, as well as spirits and sparkling alcohol. Beer makers may continue to invest in craft and imported brews as a way to recapture market share, but there's no guarantee today's consumers will remain loyal to brands. A better long-term strategy might be to invest in cannabis-infused beverages, which appear to have a much brighter future than light beer, premium beer or malt liquor products. According to a new study from A.T. Kearney, 30% of Americans would be willing to try a cannabis-infused nonalcoholic beverage, and 17% would be interested in an alcoholic drink containing the substance. Constellation has already invested in the segment, and Molson Coors appears headed in that direction. It may only be a matter of time before the other big brewers try to boost slumping sales by following suit. Core revenue for the first nine months of 2018 was up 7% at constant currency and up 4% at actual rates. Growth was broad-based with a particularly strong performance across the Asia Pacific region. In China, the business is well positioned to meet market trends such as urbanization and convenience, and is seeing strong demand for products with particulates (such as cereals and fruit pieces). The adjusted EBITDA margin for the period increased from 25% to 26%, with the contribution from top line growth more than offsetting higher raw material costs and an adverse impact from currency. In addition, profitability benefited from production efficiencies and lower selling, general & administrative costs following a major product launch in 2017, as well as the relocation of some R&D activities to be closer to the market. Core revenue in the third quarter of 2018 was up 4% at constant currency and up 1% at actual rates. The difference between actual and constant currency revenue growth was mainly due to the depreciation of the Brazilian Real against the Euro, as was the case for the first nine months. Core revenue growth in the quarter was driven largely by the Asia Pacific region. After a strong first half, performance in the Americas slowed in the third quarter but underlying demand remains strong. Adjusted EBITDA was 8% lower reflecting the impact of currency, resulting in an adjusted EBITDA margin for the quarter of 28% compared with 30% in the third quarter of 2017. On 28 September SIG announced the pricing of its IPO at CHF11.25 per share and was listed on SIX Swiss Exchange. The proceeds from the sale of new shares in the offering have been used to pay down debt as reflected in pro forma figures for gross and total net debt. Total net leverage at end-September 2018 on a pro forma basis, taking into account the IPO proceeds received on 2 October 2018, was 3.2x compared with 5.4x before receipt of the IPO proceeds. The company plans to reduce net leverage towards 2x in the mid-term while targeting a dividend payout equivalent to 50 - 60% of adjusted net income. The company maintains its guidance for the full year 2018 and expects core revenue growth at constant currency of 4 - 6%. The adjusted EBITDA margin is expected to be 28%+. Rolf Stangl (photo), CEO of SIG, said: "Demand for our products remains strong and is supported by non-discretionary consumer spending and favorable demographics in growth regions. Our diverse geographic footprint and focus on innovation will enable us to sustain a long-term growth trajectory." Ball Corporation (NYSE: BLL) announced that it intends to cease production at the company's San Martino, Italy, facility at the end of December 2018 and only after due negotiation with the trade union. Customers currently supported by the San Martino beverage container plant will be supplied by other Ball facilities in Europe. Lecta will again participate in the BrauBeviale trade show with its extensive portfolio of special papers for beverage labels. It will feature its latest developments in metallized paper, one-side coated paper and self-adhesive materials at this exhibition which last year attracted nearly 1,200 exhibitors and 40,000 beer and other beverage industry professionals. on exhibit with two special paper lines designed for premium beverage labels and for label converters: Wet-glue labels, for beer, water, spirits and wine labels available with high, medium and low moisture resistance and ideal for returnable and one-way bottles, and Pressure-sensitive labels, papers designed to be transformed into selfadhesive facestock for labels. The Metalvac range is available in different finishes (plain, pin-head, brushed and linen). “Endless possibilities” is the swatchbook for Lecta’s Creaset one-side coated paper line, designed for the labels and flexible packaging segment. Its “Labels” range for beverages includes papers specifically designed for beer bottles such as light wetstrength Creaset LWS, for drinks (especially water) and high wet-strength Creaset HWS papers, available with smooth, embossed and now extra-strength embossed finishes, ideal for applications that require a more artisanal touch. Our Adestor self-adhesive labels from the “Labels to Celebrate” collection feature an excellent and versatile selection of papers and films combined with water-based acrylic adhesives to meet the needs of the most demanding final applications in the beverage sector. The 27 exclusive labels featured in the catalog were manufactured with different printing techniques such as silkscreen, stamping and embossing, highlighting their benefits in terms of machinability and print quality. “Labels to Celebrate” also includes special facestock such as papers with a natural shade, embossed and gloss pearl finishes and metallized papers highly resistant to moisture and the cold. Combined with the BC361Plus and VR152 acrylic adhesives, they are the ideal solution for all bottles subject to ice-bucket immersion or that need to be recovered in caustic soda baths. We look forward to seeing you at BrauBeviale, Hall 4 - stand 438, November 13–15th. The report, drafted by Frédérique Ries (ALDE, BE), was adopted with 571 votes to 53 and 34 abstentions. Parliament will enter into negotiations with Council when EU ministers will have set their own position on the file. UNITED CAPS, an international manufacturer of caps and closures, announced it has installed four trio-technik AirMove transport systems in its Schwerin plant (photo), which primarily serves the German beverage market. The 10,000 m2 facility occupies two production halls, employs 58 people, and produces several billion 28mm and 38mm closures per year for still and carbonated water, juices and milk. Trio-technik will be demonstrating the system using caps and closures from UNITED CAPS at the 26th Fakuma international trade fair for plastics processing, scheduled for 16 to 20 October 2018 in Friedrichshafen, Germany. Trio-technik worked closely with Thoralf Niehusen, Plant Director of the Schwerin location, and the UNITED CAPS R&D Center during the selection and implementation process. Jaillot explains that the partnership with trio-technik is a good example of UNITED CAPS’ market driven approach based on Relate. Perform. Sustain. -Relate – We know the brand owner requirements regarding our caps and relate to partners like trio-technik. We gained insights that help us to optimise the quality of our product. -Perform – The trio-technik partnership is one way we have worked to provide a high quality product that assures the productivity requested by the brand owners. In addition to SPARK and PROSPARK closures, the Schwerin plant also manufacturers PROGLASS and PROSTILL. The trio-technik AirMove system is used to transport all of the caps manufactured in the Schwerin plant through the quality control process. At Hydro One, one of our goals is to offer ideal soft drinks for lowering cholesterol. That’s why we created TRÜE Sugar Free Green Tea. TRÜE is made from all natural ingredients, and offers both great taste and numerous heart health benefits, including helping to lower cholesterol. When you’re looking to keep your heart, mind and body healthy, it’s important to properly manage both your diet and lifestyle. Staying active, eating healthier, reducing blood sugars, and managing your weight and blood pressure are all great habits for a healthy heart. In addition to regular exercise and eating healthy, it’s just as important to choose the right drinks too. Regular soft drinks are loaded with sugar and can damage your heart health, but diet soft drinks made with sugar substitutes can be unhealthy too. A recent study conducted by Hannah Gardener, Sc.D., epidemiologist in the Miller School’s Department of Neurology, showed that people who drink diet soft drinks on a regular basis are 43% more likely to suffer a vascular event than those who don’t drink any. TRÜE Sugar-Free Green Tea was developed by scientists and is made from plant sterols and cognitive enhancer agents, all of which helps you lower your cholesterol, keep your heart healthy, boost your brain function, even manage your weight. Best of all, it tastes great! TRÜE can be served hot or cold, and it’s ideal for diabetics too. If you’re looking for a great tasting, heart-healthy beverage, Hydro One’s TRÜE Sugar-Free Green Tea is just one of our specially created soft drinks for lowering cholesterol and other health benefits. This summer, Pepsi MAX® put its taste credentials to the test against the UK’s biggest selling cola as it asked consumers to choose their favourite during the Pepsi MAX Taste Challenge. The results have been revealed and 61% of participants chose the taste of Pepsi MAX over the biggest selling cola in the UK market. “Pepsi MAX has contributed more absolute value growth (+£57.1m vs YA) to the Grocery and Impulse Cola category than any other brand in the last year3 and we will be focusing on developing plans that drive this growth even further for retailers in the coming months,” added Dallas. The Pepsi MAX Taste Challenge toured the country, with approximately 24,000 participants taking part in controlled blind taste tests to decide the better tasting cola. SIGNATURE PACK from SIG impressed the jury. The world's first aseptic carton pack with a clear link to 100% plant-based renewable materials has now been awarded the prestigious 'German Packaging Award' in the sustainability category. This year, participants from ten nations applied for the coveted award, which is regularly submitted at FachPack in Nuremberg – a total of 226 entries were received. The German Packaging Award is an international, cross-industry and cross-material competition. Every year, the German Packaging Institute (Deutsches Verpackungsinstitut - dvi) awards the prize for innovative and creative packaging ideas. The dvi is the only network in the packaging industry that unites companies from all stages of the value chain as members. Dr. Bettina Horenburg, dvi board member and responsible for the German Packaging Award: "Packaging is a central factor in our infrastructure. That is why it is justifiably at the centre of public interest. The constantly increasing demands in areas such as sustainability, efficiency and convenience can only be met through continuous innovation”. SIGNATURE PACK from SIG, which has now been awarded with the German Packaging Award, is such an innovation that brings added value for the industry and at the same time meets the expectations of consumers who place increasing importance on environmentally friendly and sustainable packaging. The polymers used for laminating the paperboard and making the closure of the SIGNATURE PACK originate from renewable European wood sources and are certified by recognized and approved certification systems (ISCC PLUS and TÜV SÜD CMS71) via a mass balance system. This means that for the polymers used in the SIGNATURE PACK, an equivalent amount of bio-based feedstock went into the manufacturing of the polymers. Tall oil was selected as the feedstock because, as a by-product of paper production, it is a waste material rather than an agricultural crop that requires land and resources to grow. The jury's verdict states: "SIGNATURE PACK sets a clear mark for sustainability. The packaging is characterised by the use of renewable raw materials, the conservation of fossil resources and the reduction of the CO2 emissions compared to conventional packaging". Nora Wigand, Marketing Account Manager D-A-CH, and Udo Felten, Manager Product Related Global Environmental Sustainability & Affairs at SIG, have received the award on behalf of SIG at the award ceremony in Nuremberg. "We are pleased that after the World Beverage Innovation Award, the German Packaging Award has now also been given to our SIGNATURE PACK. The commitment to environmentally friendly products and sustainable packaging solutions is one of the most relevant topics for industry and consumers both nationally and internationally. We are proud that our SIGNATURE PACK is seen and appreciated as a milestone in the aseptic packaging sector. It drives the replacement of conventional plastics from fossil fuels with certified and sustainable plant-based polymer materials". Hopsoulution (photo), one of our Double IPAs, is joining our year-round lineup in Michigan, Ohio, Indiana, Illinois and Wisconsin. Hopsoulution was previously a limited, specialty release for our entire distribution area. At China Brew China Beverage 2018, taking place in Shanghai from the 23rd to 26th of October, Sidel and Gebo Cermex will present solutions that help Greater China producers, co-packers and brand owners achieve long term superior performance throughout the lifecycle of their packaging lines. With an expected 2.1% growth of all packaging materials in Greater China between 2018 and 2021 , the soft drinks, beer, food, home & personal care producers in the region need to be ready to address trends like packaging mass customisation in a fast-changing market environment. At Booth 1B31 in Hall W1, Sidel and Gebo Cermex will be showcasing the Group’s commitment to future-proof solutions with the Agility 4.0™ programme – bringing smart factories to life and creating a world of greater choice and unique consumer experience – and performance-based services, which focus on maximum equipment availability and a shorter time-to-market. Key to achieve those benefits is effective maintenance. Both Sidel and Gebo Cermex are showcasing their new modular maintenance agreements at CBB 2018: the ‘Time & Material’ for tailored preventive maintenance and the ‘Fixed Price’ agreement for condition-based maintenance at a fixed cost. These new additions are specifically designed to strengthen the Group’s Services portfolio through a holistic approach to preventive maintenance, which helps customers maintain performance at optimum level throughout their production. Additionally, another highlight at the show will be the Sidel Services Online platform, a user-friendly web interface for fast and easy ordering of original spare parts, options and upgrades. - The Sidel Aseptic Combi Predis™, an integrated blow-fill-seal-filler solution with dry preform sterilisation, ensures an aseptic production that is flexible, cost-effective and safe. The company recently received Food and Drug Administration (FDA) approval for this solution. - Talking packaging innovations, Sidel will put a strong focus on the Base OverStroke System (BOSS), a new, patented base mould system adding versatility to production whilst securing maximum uptime. - The Sidel Super Combi, which integrates five process steps into one single system: preforms feeder, blowing, labelling, filling/capping and caps feeder. By encompassing equipment intelligence, it helps water and CSD producers gain continuous production optimisation and enhanced performance. - The new EvoFILL Can from Sidel, offering a high degree of flexibility and improved hygienic conditions for the filling of top quality, aluminium cans. Having undergone a complete redesign, the new solution is able to manage a wider range of cans, filling various temperatures and beverage types, thus bringing great filling performance to high quality beverages, like low-carbonated drinks or flash pasteurised beer. - Gebo Cermex’s AQFlex®, an all-in-one product handling technology, able to accommodate any product, whatever the application, whatever the market, in all container materials, formats and shapes, full or empty, while also enabling automatic changeovers and ensuring total care of product integrity. Thanks to its radically new approach of conveying and accumulation, AQFlex delivers unprecedented packaging line performance. It offers this, together with unique agility and smooth contactless product conveying and accumulation, in a very compact space. Molson Coors Canada (MCC), the Canadian business unit of Molson Coors Brewing Company (NYSE: TAP; TSX: TPX), and HEXO Corp. (TSX: HEXO) announced that they have closed the transaction announced on August 1, 2018, to form a joint venture to pursue opportunities to develop non-alcoholic, cannabis-infused beverages for the Canadian market following legalization. The joint venture, Truss, will be led by former Molson Coors executive, Brett Vye, in the role of Chief Executive Officer. Vye will report to the Truss board of directors consisting of three members appointed by MCC and two members appointed by HEXO. Vye brings a decade of experience in leading successful brand building and integration efforts, as well as executing long-term growth strategies. Vye served as the Chief Commercial and Strategy Officer for the fast-growing International division of Molson Coors from 2015 to September 2018. Previously, he served as Chief Commercial Officer of Global License and as Managing Director of IOP Sales at Molson Coors. Vye has also worked in a number of commercial roles internationally for Colgate Palmolive/Hills Pet Nutrition. Truss is structured as a standalone company with its own board of directors and independent management team. MCC has a 57.5% controlling interest with HEXO holding the remaining 42.5%. The five-member board of directors for the joint venture will initially comprise Frederic Landtmeters, President and CEO of MCC; Paul Holden, VP of Legal and Industry Affairs of MCC; Scott Cooper, VP, Global Innovation of Molson Coors (Chairman of the Truss Board); Sebastien St-Louis, CEO and co-founder of HEXO, and Ed Chaplin, CFO of HEXO. In connection with the closing of the transaction, HEXO has issued to MCC 11,500,000 warrants, each of which is exercisable to purchase one common share of HEXO at an exercise price of $6.00 for a period of 3 years. MCC has been advised by Gowling WLG (Canada) LLP, and HEXO has been advised by Norton Rose Fulbright Canada LLP. Britvic is pleased to announce that from October 2018, every Britvic manufacturing site in GB, from its offices to warehouses and factories, will be powered by 100% renewable electricity. The move forms part of a new four-year deal with energy provider E.ON, which will provide power needs for the whole of Britvic’s business operations in Great Britain, including 100% wind generated electricity, sourced from the UK. Britvic’s decision to move to 100% renewable electricity is driven by its ambition to minimise the environmental impact of its operations. The switch to renewable electricity will save over 17,000 tonnes CO2e per year - equivalent to taking more than 3,300 cars off the road for a year. It forms a key part of Britvic’s sustainable business strategy, ‘A Healthier Everyday’ which puts healthier people, healthier communities and a healthier planet at the heart of its business. Alison Rothnie, Senior Sustainability Manager at Britvic commented: “We believe that businesses have a role to play in tackling the global climate change challenge, and energy efficiency and emissions reductions have been a priority area for our supply chain operations for a number of years in all the countries where we operate. Iain Walker, Director of Business Energy Sales at E.ON commented: “An increasing number of businesses are looking at ways to reduce their carbon footprint and a Renewable Energy Guarantees of Origin (REGO)-backed supply provides a guarantee that consumption is offset by energy produced from renewable sources. As part of the new agreement, Britvic will also benefit from E.ON’s Portfolio Solution (EPS), it’s in-house risk management service specialising in helping customers navigate the wholesale energy market and manage exposure to the often volatile markets. The EPS team have been instrumental in assisting Britvic in implementing a hedging strategy, enabling budget certainty while being able to take advantage of opportunities from the market. Following the successful launch of its Robinsons Fruit Cordials and Fruit Creations ranges, Britvic has announced plans to extend the ranges from the no.1 branded squash in the UK, with the addition of two new exciting flavours. Landing in stores from the 1st October, Robinsons Fruit Creations Strawberry & Watermelon and limited-edition Fruit Cordials Crushed Apple & Cinnamon (photo) variants aims to attract even more shoppers to the growing premium squash category. In November Britvic announced the biggest shake-up of its squash portfolio to date with the launch of the new Fruit Cordials and Fruit Creations ranges, which has helped grow the Robinsons brand by 1.5% to be worth £178m. These two new additions offer even further scope for growth by tapping into new flavour trends and the seasonal sales opportunity. The launch of Robinsons Fruit Cordials marked the brands first entry into the premium cordials sector, one of the fastest growing sectors in the flavour enhancers category4, growing 25%5. 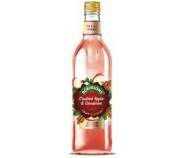 Following its category debut, Robinsons Fruit Cordials has already reached £5m in value sales6. The launch of the limited-edition Robinsons Crushed Apple & Cinnamon variant, which can be enjoyed hot or cold, offers the perfect alternative soft drink as the weather turns colder. The launch will be supported with a £500k sponsorship of James Martin’s Saturday Morning Show, as well as PR and social media activity. Robinsons Fruit Creations offers shoppers a more premium squash drink, with twice the fruit of its core squash range7, and has taken the flavour concentrates category by storm, growing to £14.2m since its launch8. Having already sold over 8 million bottles (that’s one bottle every 3 seconds9) it is likely to be one of the biggest FMCG launches of 2018 and one of the biggest soft drinks launch in the last 5 years. Britvic aims to continue this run of success by building on the growing watermelon flavour trend being seen in the market, with its new Strawberry & Watermelon flavour. 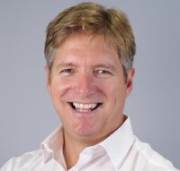 Bruce Dallas, GB Marketing Director at Britvic, commented: “The last three years have been transformational for Robinsons, with the brand moving into new occasions and innovating to meet new consumer trends; a journey which started in 2015 with the launch of Squash’d to target consumers on the go. This was followed in 2016 by taking the brand into dispense in a number of foodservice customers, and the launch of ready to drink Refresh’d made from naturally sourced ingredients. With its newly developed EN ISO 14120-compliant safety guarding, ENGEL offers a significant safety boost. In addition to this, the modular solution enables particularly easy configuration and installation. ENGEL is presenting the new development at Fakuma 2018 from 16th to 20th October in Friedrichshafen, Germany. Photo: The new modular EN ISO 14120-compliant safety guarding improves safety in production. EN ISO 14120 "Safety of machinery – Guards – General requirements for the design and construction of fixed and movable guards" places even higher demands on the strength of protective guards than its predecessor EN 953. Above all, the external load capacity is defined in concrete terms. In the pendulum test, the safety guarding must withstand a 90 kilogram sandbag. ENGEL's goal in developing the new safety guarding was not only to reliably meet the requirements of the new standard, but also to ensure greater flexibility for users. The result is a modular design matrix with an extensive selection of protective panels and control elements such as openings, control cabinets, cable conduits, and revolving and sliding doors. Individual layouts can also be implemented in a cost-efficient way. In addition, the new solution can be adapted and extended to changing requirements at any time. In many cases, one person is all it takes to assemble the safety guarding in a short period of time. In order to simplify maintenance and servicing, the electrotechnical area has been optimised. The electronics of the safety doors, for example, are no longer located in the door frame, but in easily accessible door connection boxes. The new TÜV-approved safety guarding is offered as standard for both stand-alone injection moulding machines with a conveyor belt and integrated and automated production cells. It is consistently styled in the continuous and functional ENGEL design and is very easy to clean. In combination with an options package, the new safety guarding also meets requirements for clean room production. Recycling of beverage cartons is growing in the EU and reached 48% in 2017, according to industry-wide figures. This marks the twelfth consecutive year of increased recovery for recycling. Last year, the total recovery rate reached 76%. “ACE members have a long-standing commitment to recycling. Having very much welcomed the revised Packaging and Packaging Waste Directive and the introduction of mandatory separate collection of packaging waste, ACE is working with national beverage carton associations to support recycling performance across Europe. To this end, the members of ACE - BillerudKorsnäs, Elopak, SIG, Stora Enso and Tetra Pak - have decided to launch a new platform to coordinate the industry’s engagement in recycling across Europe. We are pleased to see that recycling of our cartons is growing each year and we are convinced that this trend will continue with the implementation of EU waste legislation and new industry initiatives,” said Annick Carpentier, ACE Director General. The new pan-European platform will coordinate and drive EU-wide and country-specific solutions to optimise beverage carton collection and recycling. It will actively seek to establish alliances and partnerships with industry actors sharing similar needs to ensure and scale up recycling solutions. “From a life cycle perspective, recycling of beverage cartons helps reduce carbon footprint. The beverage carton industry encourages Member States to ambitiously implement EU waste legislation to provide enhanced systems for waste collection and sorting, knowing that efficient separate collection drives the recycling of beverage cartons,” concluded Carpentier. CHINA BREW CHINA BEVERAGE (CBB) draws on the success of 2016: Just under three weeks before the beginning of the exhibition, the halls of the Shanghai New International Exhibition Centre (SNIEC) are almost fully booked. The exhibition space of the international companies is once again increasing. This underlines the importance of the event as an international trade fair for the beverage and liquid food industry. The extensive supporting program, including the CBB Forum, Round Table Talks and the International Beer Smart Factory & Brewing Technology Forum, will additionally shed light on what is moving the industry today and tomorrow. CBB, which takes place from October 23 to 26, is the most important meeting point for the beverage and liquid food industry in Asia. Thanks to its wealth of topics and offerings, it provides visitors comprehensive insights into trends and developments. “As a leading technology platform, CBB promotes the exchange of information within the industry. The presentations of the exhibitors on the one hand and our supporting program on the other provide for a complete and forward-looking overview of the beverage and liquid food market”, said Petra Westphal, Project Group Leader Messe München. Richard Clemens, Managing Director of the VDMA Food Processing and Packaging Machinery Association, also underlines the importance of the event: “The Chinese beverage market is continuing to grow. Over the next five years, a further annual growth of nine percent is expected. Therefore, we expect CBB to provide considerable impetus for the industry.” More than 860 exhibitors have already registered. Among them are national and international industry leaders such as Alfa Laval, GEA, Husky, KHS, Krones, SACMI, Sidel and Siemens located in the international exhibition halls. And GDXL, HGM, Lehui, Newamstar, Tech-Long and Zhongya in the national exhibition halls. In addition to industry solutions from exhibitors, attendees can look forward to the unique CBB supporting program. This year, the CBB Forum will focus on the topics of sustainability and digitization. First-class speakers will provide insights and outlooks, including Dr. Ning Ding, General Manager of the Food & Beverage Division at Siemens. In his presentation, the expert will show how digital twins support the digital transformation of the food and beverage production. Another presentation on digitization comes from Sylvain Charlebois, Dean of the Faculty of Management at Dalhousie University. Charlebois will address crypto currencies and blockchain technologies that offer huge potential for the agricultural and food sector. He will raise the question: “To address lurking food safety and fraud concerns, can blockchain technologies be the answer?” Prof. William Chen, Director of the Food Science and Technology Programme at Nanyang Technological University Singapore is going to deal with sustainability. The title of his presentation is: “Fermentation for Upcycling of Brewer's Spent Grains: Potential for Zero Waste Food Processing and Circular Economy.” Further presentations on digitization and sustainability will be given by Richard Clemens, Managing Director of the VDMA Food Processing and Packaging Machinery Association, and Winston Boyd, Technical Director at Gold Coast Ingredients Inc.
Another highlight of the supporting program are the newly introduced Round Table Talks. Here, industry experts will discuss important topics relating to PET and the developments on the Chinese beer and beverage market today and in the future. Representatives of companies like AB InBev, Snow, Suntyech Process Engineering, Tsingtao and Voss (Hubei) Water & Beverage will talk about dairy trends, innovative product concepts as well as opportunities and challenges regarding packaging and beer trends and many other topics. Visitors can discover even more about beer. At CBB, every brewer should be able to find what he or she is looking for. The International Beer Smart Factory and Brewing Technology Forum will also address the needs of the local brewing industry, whether it is micro breweries, medium-sized or industrial breweries — at CBB they will all make their finds. Today’s competitive environment means that packaging design is acknowledged by brand owners as key to the success of any new product launch. Companies that develop and launch new products in the shortest time have a clear advantage in the marketplace. Ardagh Group, a leading producer of glass containers for the food and beverage industries in the United States, recognizes this and has finalized a multi-million dollar investment in a new Development Machine, allowing brands to unveil new or redesigned products in glass packaging much faster than ever before. Located in Ardagh Group’s glass manufacturing facility in Port Allegany, Penn., the Development Machine is a highly flexible glass forming system, capable of quick changes, and is contributing to a 30% reduction in new product lead times. The technology (see it in action), available to customers globally, can simulate nearly every manufacturing condition to make glass bottles and jars of all shapes and sizes, while also incorporating the latest design features such as unique textures and embossing. Ardagh Group’s overall Vision4GlassSM approach includes a team of in-house designers that collaborate with customers in the earliest design phases to create conceptual designs, technical drawings, 3D renderings and prototype models. The addition of the Development Machine to this process makes it seamless for brand owners to create custom bottle designs, launch new products, or unveil limited edition releases. “As a leader in glass packaging, Ardagh Group continues to focus on innovation and this flexible facility enables our customers to achieve real reductions in the time taken to get their products to market,” said Alex Robertson, Chief Commercial Officer of Ardagh Group’s North American Glass division. Companies interested in exploring the Development Machine can contact Ardagh Group directly. Cans are projected to constantly grow over the next few years. Manufacturers need greater performance to match the overall rising demand, while guaranteeing absolute food safety, minimising Total Cost of Ownership (TCO) and preparing for future production needs. A broader number of SKUs and numerous can sizes on the market call for higher flexibility, requiring swift changes between still and carbonated, as well as hot-, ambient- and cold-filled beverages. The answer to all these challenges is the new Sidel filler, EvoFILL Can. Global brewer AB InBev will bring its Italian craft beer Lisa to the UK on-trade in October, which is being pitched in direct competition to Asahi-owned Peroni, The Morning Advertiser reported. Jason Warner, AB InBev’s soon-to-be promoted North Europe president, exclusively revealed Lisa’s launch to The Morning Advertiser in an interview at the company’s customer day in Wembley Stadium. Warner, who will be promoted to AB InBev president of Europe on 1 January next year, said: “The brewer Birra del Borgo is a very premium craft beer brand in Italy, similar to what we have in Camden here in the UK." Per capita alcohol consumption in India has more than doubled from 2005 to 2016, according to a report by the World Health Organisation. The total alcohol per capita consumption (15+ years) is expected to increase in half of the WHO regions by 2025 and the highest increase is expected in the South-East Asia Region. An increase of 2.2 litres is expected in India alone which represents a large proportion of the total population in this region, the report highlighted. Brewing giant AB InBev will launch its Michelob Ultra premium light beer into the UK in a bid to replicate the brand’s US success, the Morning Advertiser reported on September 14. The brand is currently the fastest-growing beer in the US in both value and volume terms, success that AB InBev hopes to repeat in the UK. Research suggests Brits are seeking lower-strength beers – those with an ABV of between 0.5% and 3.5% – and bought 61 mln pints of low-alcohol beer in the past 12 months, up 34% for the same period last year, the brewer said. “The UK launch responds directly to the trend for leading an active lifestyle and demand for reduced-calorie and lower-alcohol options,” said AB InBev. Michelob Ultra is brewed to 3.5% ABV, has 79 calories per 335ml can and will be rolled out nationwide across the UK off-trade this October, with a bottle format due to appear in the on-trade from spring 2019. A national multimedia advertising campaign, running across print, digital and out-of-home media, will support the launch and focus on the beer’s light qualities as well as its “functional benefits”. Following success with its Bud Light relaunch last year, AB InBev will pump resources into sampling activity as well as brand partnerships, all of which will be unveiled shortly. Michelob Ultra senior brand manager Matt Leadbeater said: “Drinking beer can sometimes seem at odds with living an active life, but it doesn’t have to be. The introduction of the beer into the UK market forms part of the brewer’s wider “global smart drinking goals” that include no- or low-alcohol products making up at least 20% of its global beer volumes by the end of 2025. - Zappar enables SIG to offer its customers an inventive and unique method to get closer to their end-consumer and engage with them through the brand’s packaging design. This “smart packaging” connects a product with the digital content and rewards consumers with relevant targeted content for taking the time to engage with a brand. 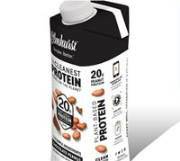 - Elmhurst’s new plant-based protein drink will sport a “zapcode” at Natural Products Expo East in Baltimore. Once the zapcode is scanned (or “zapped’) and the device is pointed towards the front of the carton, the consumer unlocks important information about “The Cleanest Protein Shake on the Planet.” via augmented reality (AR) content. Partnering with Zappar, one of the world’s leading developers and providers of augmented reality (AR), SIG is turning carton packs into interactive and engaging experiences. The technology provides a bridge between physical objects and the digital world in real-time. All you need is a smartphone or tablet, the Zappar App and the fun begins: content is brought to life. The technology offers opportunity for a whole range of creative marketing ideas and campaigns that will engage and entertain consumers. Zappar enables SIG to offer its customers an inventive and unique method to get closer to their end-consumer and connect with them through the brand’s packaging design. This “smart packaging” links a product with the digital content and rewards consumers with relevant targeted content for taking the time to engage with a brand. Letting the consumer explore hidden content provides brands an excellent opportunity to improve brand awareness and strengthen brand loyalty. These “zapcodes” have allowed SIG to provide customers and brands an added-value solution that answers to a rapidly growing digitized world. Elmhurst’s new plant-based protein drink will sport a “zapcode” at Natural Products Expo East in Baltimore. Once the zapcode is scanned (or “zapped’) and the device is pointed towards the front of the carton, the consumer unlocks important information about “The Cleanest Protein Shake on the Planet.” The AR content delivers all the essential details that emphasizes why this is a no-nonsense, free from artificial ingredients, and vegan shake. Along this AR journey, there is information about sustainability with SIG cartons as well as an opportunity for the consumer to take a picture with a personalized face filter to share on social media. There is also a contact element that allows the consumer to communicate with customer care for additional inquiries. Through a simple “zapcode,” the consumer is entertained and engaged and more importantly, more educated about Elmhurst’s new plant-based protein drink. Creating interactive packs of the future is part of SIG’s Value Proposition: three value-adding segments to help producers meet increasing industry demands. On-pack “zapcodes” are one of the latest solutions within Connected Pack – a commitment to deliver digital engagement with interactive tools and features such as augmented reality to improve brand awareness. Malaysian beer industry leaders Carlsberg Brewery Malaysia Bhd (Carlsberg) and Heineken Malaysia Bhd (Heineken)have expressed varying opinions about the implementation of the Sales and Service Tax (SST), BeverageDaily.com reported on September 24. The SST has been re-introduced in Malaysia from September 1, replacing the unpopular Goods and Services Tax (GST). Carlsberg Malaysia has expressed deep concerns over the new sales tax. "Taking into account the 10% sales tax imposed on our products and a 6% service tax we incurred from taxable services, we have made a 5.5% adjustment on our products’ price to distributors effective 1st September 2018," he added. Additionally, the rise in prices could potentially increase the consumption of contraband beer, which holds up to 25% of market share. “[Any] increase will lead to more influx of contraband beers and losses to government tax revenue,” said Lehmann. "With the implementation of SST, the price gap between legal beer and contraband beer grows bigger, which increases the risk of contraband growing at the expense of legal beer." On the other hand, Heineken Malaysia is less concerned about the SST. “We do not foresee that big of an impact from the SST,” said Heineken Malaysia finance director Szilard Voros. “However, [contraband beers] is something we need to be careful about. […] We still believe [consumer sentiment] will be high,” he added. The price increase for Heineken products will commence on September 17, and is expected to remain lower than they were during GST implementation. Carlsberg Malaysia comprises, amongst others, the Carlsberg, Kronenbourg, Asahi and Skol beer brands. It holds roughly 40% of the Malaysian malt liquor market (MLM). Heineken Malaysia holds roughly 60% of the Malaysian MLM. It owns the Heineken, Tiger, Kirin, Guinness and Anchor beer brands, amongst others. Together, both companies dominate almost the entirety of the beer market in Malaysia. When Finance Minister Lim Guan Eng initially announced the SST reinstatement, the public reacted with fears over the possible raising prices of goods. These fears came true with beer, as both Carlsberg and Heineken announced increases in the prices of their beer, passing on the 10% sales tax burden to consumers. As it is, Malaysia’s per capita alcohol consumption stands at only 1.7 litres per year as per numbers from the World Health Organisation. This is attributed to Malaysia being an Islamic country, as the religion bans alcohol. After the Malaysian national elections in May, the newly-elected Pakatan Harapan’s decision to scrap the 6% GST was met with enthusiasm by the public. Less popular was the decision to bring back SST, which is implemented at 10%, but imposed on the manufacturers and importers instead of on the consumers. When announcing the SST, Finance Minister Lim Guan Eng had emphasised on the necessity of taxes for the country. “While taxes fund the development and administration of the country, they also serve to reduce inequality that exists in our society. And while we impose taxes, we also do not want to tax you to death, but we hope that you are able to pay these taxes to help us save the country,” he told The Star. The SST implementation is projected to bring in a revenue of US$ 97 million (RM 4 billion). After the May elections, the new government announced a total US$ 242 billion (RM 1 trillion) worth of government debt left behind by the Najib administration. It is unlikely U.S. government officials considered that the tariff spat with its major trade partners would impact America's some 100 million beer drinkers. Beer industry insiders told Xinhua that their industry is being hit in several ways by the escalating trade disputes with Canada, Mexico and China. In an exclusive interview with Xinhua, Robert Pease, president of the Brewer's Association (BA), voiced his industry's concerns with the imprudent tariffs policies by U.S. government. "It's a serious issue for us, it's a serious issue," Pease emphasized. BA represents 4,465 breweries across the country, and its affiliate, the American Homebrewers Association, has 46,000 members. Pease made the remarks in Denver when the 2018 Great American Beer Festival was held there on Sept. 20-22 and thousands of beer brewers from across the country met to bemoan the negative impact the tariffs are having on their business. "We support fair trade, we support free trade, but we oppose these tariffs," said Pease, who has been with BA for 27 years. Craft beer sales grew eight percent in 2017 and now total 26 billion U.S. dollars, accounting for 23 percent of the country's 111.4 billion dollar beer market, BA statistics show. All told, the craft brewing Industry contributed 76.2 billion dollars to the U.S. Economy in 2017 as well as more than 500,000 jobs. "The tariffs on aluminum impact beer cans and the steel hikes affect the price of kegs," Pease noted. His words echoed Molson Coors Chairman Pete Coors's warning in May, when the beer industry mogul wrote an opinion article to the Wall Street Journey saying beer and other drinks packaged in aluminum cans will cost more for consumers because of an aluminum tariff implemented by the administration of President Donald Trump. Gavin Hattersley, CEO of MillerCoors, the second largest beer producer joint-ventured by SABMiller and Molson Coors, also disclosed his company is bracing for a 40 million dollar hit to its profits due to the tariffs on foreign aluminum and steel. He said the tariffs force the company to scale back investment, hit the pause button on hiring new employees, and increase beer prices, since the company's shareholders won't simply accept the hit. Moreover, American Keg CEO Paul Czachor had to explain to local media at the end of August why the tariff hurt the Pennsylvania based keg producer, the only U.S. beer keg maker relying entirely on domestic steel. He said the tariffs did not create more jobs for the company as the White House planned; on the contrary, it dried up steel imports, causing demand and prices to rise for U.S. steel, which then led the company's old customers to use imported kegs. Czachor told National Public Radio his company had fired 10 of its 30 employees. Not only have hikes on steel and aluminum hurt their bottom line, commodity losses in America's field crops, which were used to make beer, have also been affected by the tariff frictions. Some 1,100 kilometres away from Denver, Montana barley farmer Matt Flikkema told Xinhua he is getting hurt by the increased cost of steel that affects his equipment upgrades and purchases, and by the decreased amount of revenue he gains from selling his product. "That field of barley goes to Molson-Coors," Flikkema said, pointing to a field of high-grade barley headed to make beer for the world's fifth largest beer company. But thanks to the trade war, Flikkema will earn much less for the barley he planted. Many wheat and barley farmers are considering alternative crop production, and that could affect the cost and quality of domestic beer. "We've lobbied our supporters in the U.S. Congress, and tried to educate them about why we think the tariff is not a good policy for small and independent breweries," Pease told Xinhua. Both Pease and BA Chief Economist Bart Watson emphasized that the tariffs particularly hurt small, independent brewers, who are surviving on tight profit margins. "We see an annual three-to-five percent closure rate on new breweries," Watson told Xinhua. Industry officials are holding their breaths to see if more small start-ups fail due to the tariffs. "The price of steel increasing is not good for our members, especially the smaller businesses," Pease said. "That's going to inhibit expansions, inhibit innovation, and inhibit job creation in this industry," he added. Additionally, bigger breweries are holding back on growth and investment due to the tariffs, the industry official said. "One member told me this week they were looking at an expansion -- that may not be possible because of the big jump in steel prices," Pease said. Carlsberg announced a series of ground-breaking innovations including its new Snap Pack, which is set to reduce plastic waste globally by more than 1200 tonnes a year - the equivalent to 60 million plastic bags. O-I : EXPRESSIONS will create new marketing opportunities for brands through customization and personalization by sculpting glass bottles into multi-dimensional works of art, enabled by digital printing. Owens-Illinois, Inc. (NYSE: OI) launched O-I : EXPRESSIONS, an innovation developed for design agencies, packaging professionals and all food and beverage marketers who want to stand out and offer their consumers new reasons to love and choose their brands. O-I : EXPRESSIONS enables late-stage design, combining the integral benefits and heritage of glass with an agile, marketing-focused capability. The innovation allows O-I's customers to build brand engagement, consumer satisfaction and loyalty as well as demonstrate premium value. Enabled by digital printing, O-I : EXPRESSIONS will enable brands to create highly personalized and customized glass packaging at flexible volume, industrial speeds, and affordable value, with an unprecedented range of color and design possibilities, compared to traditional decoration solutions. With O-I : EXPRESSIONS, brands will be better equipped to respond to growing consumer demand for personalized and 'made for me' products. Brands will quickly and nimbly be able to develop packaging to support short campaigns, such as seasonal promotions or limited/special editions to mark major events. In addition, O-I : EXPRESSIONS is sustainable. It uses organic inks, not impacting the recyclability of glass, and it helps reduce waste through lower inventories. A premium version of the service, O-I : EXPRESSIONS RELIEF, named after the sculptural technique, will also offer brands the opportunity to use customized tactile digitally printed effects, such as embossing and coloured embossing. This will enable brands to interact with consumers through the sense of touch through cost-efficient flexible volume runs. O-I : EXPRESSIONS RELIEF takes brands a step beyond what was previously thought possible in terms of customization and premiumization. Arnaud Aujouannet, Chief Sales and Marketing Officer of O-I, said: "O-I : EXPRESSIONS is a valuable step in our continuous commitment to be relevant and agile in meeting the needs of customers and consumers. This innovation is an exciting outcome of O-I's strategic growth agenda and reflects our vision to emphasize high value segments by leveraging new technology and product innovation along with new attractive customized and flexible service offerings." The O-I : EXPRESSIONS services are planned to be commercially available by mid-2019 in Europe and shortly after in the US. In the meantime, O-I is already available to initiate projects and discuss collaborations. Vitaliano Torno, President of O-I Europe said: "Europe accounts for 24% of the global personalized packaging market and at the same time Europe is a core market for O-I, so it is fitting that the first step of our journey will take place here. We see the desire for individual retailers to provide unique promotions gaining momentum and brands are increasingly using personalized promotions to differentiate themselves. To execute these types of programs requires fast design and approval cycles with prompt execution. O-I : EXPRESSIONS makes all of this possible." In 2014 O-I invested in a small-scale digital printing equipment to develop the foundations for the O-I : EXPRESSIONS and O-I : EXPRESSIONS RELIEF services and validate them with the market. To bring this new service to market at an industrial scale, O-I is making an initial investment in two direct2glass digital printing industrial lines, enabling contactless direct printing, through a Drop-on-Demand process, which only generates an ink drop when it is required for printing. The use of UV inks enables fast and reliable curing, while the CMYK model opens the door to the spectrum of Pantone hues. To mark the launch of O-I : EXPRESSIONS, O-I has invited renowned industrial designer, matali crasset [sic], to experiment with the technology and showcase its potential. matali has created an incredible spaceship installation, out of 90 glass bottles printed using the O-I : EXPRESSIONS service. The installation will be displayed during Paris Design Week. It is evident from her work that the quality and the range of colors and effects available through this innovation will allow marketers and packaging design agencies to unleash their imaginations. For the first time at the FachPack trade fair in Nuremberg, Schubert presented its new Cartonpacker – a machine from Schubert’s new lightline range. The Cartonpacker consists of a single module and handles carton packaging in the smallest of spaces – with all the expected high quality and efficiency of a TLM system. The company now provides an attractive and affordable solution with a fast delivery time for packaging tasks that require less flexibility, i.e. that consist of only a few product and format variants. Schubert’s new lightline machine range includes packaging machines for standard packaging tasks with preconfigured system components. Along with the “lightline Cartonpacker”, these also address pick-and-place applications with the “lightline Pickerline” and packaging in flow-wrap bags with the “lightline Flowpacker”. 150 years ago to the day, on October 1, 1868, Carl Kappert and Louis Holstein founded the Holstein & Kappert equipment trading company in Dortmund, Germany, thus laying the foundations for KHS. 150 years ago to the day, on October 1, 1868, Carl Kappert and Louis Holstein founded the Holstein & Kappert equipment trading company in Dortmund, Germany, thus laying the foundations for KHS. It took decades, however, for the enterprise to become a worldwide manufacturer of turnkey systems – many years of expansion, fusions and, first and foremost, continuous development of products geared to the future. Today, the KHS Group is one of the market’s leading systems providers for the beverage, food and non-food industries. For years the company has increasingly focused on sustainability in the development of new plant engineering. KHS’ rise to worldwide partner to the beverage industry was a continuous process. It all began with the foundation of the Holstein & Kappert company in 1868. The Dortmund equipment trader initially only sold technical apparatus for the beverage industry. At the beginning of the 20th century the company began producing its own machinery which washed bottles and filled and packaged beverages, among other things. The fusion between Holstein & Kappert and Seitz Enzinger Noll Maschinenbau AG (SEN) based in Bad Kreuznach and Worms in 1993 was the ultimate milestone in the company’s history. Under the umbrella of the Klöckner-Werke, majority shareholder of Holstein & Kappert since 1979, the two manufacturers merged to form KHS Maschinen- und Anlagenbau AG. The fusion and the bankruptcy of the Klöckner-Werke were big challenges for KHS at the beginning of the 1990s. The solution was to have the company grow through further investments and acquisitions to become a turnkey supplier to the beverage, food and non-food industries. Another factor which proved successful was the group’s early global orientation. At the end of the 19th century KHS’ predecessor companies were already looking for sales opportunities well beyond the German border. In 1893, for example, Lorenz Enzinger presented his innovations at the World Fair in Chicago. In addition to its five plants in Germany KHS today operates production facilities in the USA, Mexico, Brazil, India and China. The company is also represented by an extensive sales and service network on all of the relevant markets worldwide. “The name KHS is now synonymous throughout the globe with powerful filling and packaging systems for the beverage industry,” explains Becker. For years the KHS Group has increasingly focused on sustainability in the development of new, future-proof plant engineering. “As one of the market leaders in filling and packaging we’re fully aware of our responsibility to the environment. The issue of sustainability thus plays an important role in the development of our innovative and cost-effective products,” Becker states. Saving on resources is especially important in this context. Companies large and small the world over rely on energy- and resource-saving machinery to fill and package their bottles, cans and kegs. The KHS Group works towards producing lighter and lighter containers in its Bottles & Shapes™ program, to name just one example here. At drinktec 2017, for instance, the company introduced the lightest 0.5-liter PET bottle in the world to date, weighing just 5 grams. KHS also premiered a marketable concept for the forming and filling of plastic bottles which involves just one process step. Nearly three in four Scots (71%) believe tax on Scotch Whisky in the UK should be at least as competitive as European taxes on flagship food and drink products, according to a Survation poll commissioned by the Scotch Whisky Association. £3 in every £4 spent on the average priced bottle of Scotch Whisky in the UK goes directly to the Treasury in taxation. Scotland's national drink is currently taxed 76% higher than the EU average for spirits. Ironically, it is cheaper to buy a bottle of Scotch in France than it is in the home of Scotch. The industry recently reported a record 1.9 million visits to distilleries and tourist centres in 2017. Many of those tourists are shocked at the level of taxation of Scotland's national drink in its home market, with distilleries facing the 4th highest rate of spirits duty across the EU. The Scotch Whisky Association is calling on the UK Government to continue to support Scotch Whisky at home through a duty freeze in the Autumn Budget. The freeze on spirits excise duty announced by the Chancellor in November 2017 has delivered £1.6bn for the Treasury in the period February to July - a 7.5% (£114m) increase on revenues during the same period in 2017. Nearly three fifths (57%) of those questioned claimed the UK government could do more to support the Scotch Whisky industry, which is responsible for a fifth of all UK food and drink exports, worth over £4 billion a year. "The Scotch Whisky industry is working hard to boost our exports and improve trading conditions for Scotch all over the world. As we do so, we are calling on the government to recognise the contribution we make to the UK's balance of trade in goods and back us at home. "It is inconceivable France would hamstring its wine industry through heavy taxation. Yet, despite Scotch Whisky generating billions in revenue for the economy, employing thousands of people, and attracting millions of tourists every year, it remains among the most taxed food and drink products in Europe. "That is why we are calling on the Chancellor to continue to freeze duty on spirits in this year's Budget. The evidence shows that a continued freeze would not only deliver greater revenue for the Treasury, but also help to support an industry that has invested more than £500m in capital projects over the last five years." Diversey launched the Diversey BottleCare system for returnable glass bottle fleets. The system incorporates DivoMask, an advanced maskant coating to enhance the appearance of returned bottles and DivoBright Defend, for effective removal of labels, soil and the coating during bottle washing without degrading the glass. 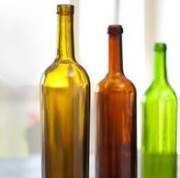 The industry average number of trips for a returnable bottle is 20, with most producers discarding glass when scuffing reaches between 4-9mm. However, the BottleCare system reduces the amount of bottle to bottle abrasion in the bottling line, preventing unattractive scuffs. In fact, the number of trips will be increased to up to – and in some cases exceed – 50 percent. Built on extensive research with a selection of international and regional brewing and beverage producers, the BottleCare system overcomes the four key challenges of maintaining an effective bottle fleet. DivoMask will deliver Freeze-Thaw to expected levels, ensuring that the maskant is not affected by condensation in the transition from chilled to ambient temperatures. It will pass the 48-hour Ice Challenge, maintaining the coating when submerged in iced water for 48 hours. It will also ensure Quick Drying by delivering a realistic maskant drying time for business, and provide outstanding Visual Coating – proving the system’s efficiency in measuring the coverage of maskant and its ability to cover scuff rings. Today’s food and beverage production demands a digital filling line solution that can deliver a highly accurate monitoring system for information management that may be remote but is always using real time data in order to optimise operations and improve productivity. SIG's answer to this is combiLink – a single and flexible information management solution for filling line operation. Food and beverage production is becoming more challenging, with filling plants facing higher demands, greater competition and ever shorter production cycles. All too often, manufacturers are faced with multiple reporting systems, outdated data, manual data collection and a lack of filling line insights. By connecting every machine in a filling line, SIG’s combiLink collects unlimited data and shows it in preconfigured or personally designed reports. Customers can view charts showing operational and technical efficiency and view downtime incidents from their desktops, tablets or smartphones. Smart notifications can alert the team to incidents so avoiding bottlenecks and costly downtime. With the same connectivity used in IoT applications, combiLink seamlessly connects every machine in a filling line. This means producers get a single end-to-end window to view current and historical levels of efficiency and performance, while also seeing where improvements can be made in the future. combiLink’s connectivity is based on the latest industrial communication standard OMAC, enabling it to collect unlimited data over OPC UA technology from every machine and store it securely. combiLink can also send out data to MES, ERP and other business intelligence systems. Its open architecture and standards-based interface connect easily to third party applications such as cloud based systems and predictive analysis tools. This two way communication enables unlimited operation applications with the option of customer plug-ins. Turning the challenges of high speed production into reality, SIG’s smart factory solutions underline its commitment to constant system innovation always bearing the latest customer needs in mind. combiLink is just one example of how SIG can design and engineer the most advanced and intelligent end to end plants using IoT-enabled systems, data and automation, ensuring that customers can monitor and optimise operations, with rapid intervention for best results. As part of the BrauBeviale 2018, vermicon AG presents the powerful Flow VIT® Solution, a combination of flow cytometry and VIT® gene probe technology. This new detection system by vermicon AG, which was developed in cooperation with Sysmex Corporation, aims to raise the microbiological quality control to a higher level and to enable a faster and more cost-efficient monitoring of production processes and end products. The Flow VIT® Alicyclobacillus test kit is the first application for the fully automated VIT® analysis of microorganisms via flow cytometry. The test kit allows producers in the beverage industry to detect microbial causes of offflavors quickly and reliably. Thus, the quality of beverage products is increased and economically damaging recall actions can be prevented. Samples are prepared with the Flow VIT® test kit. 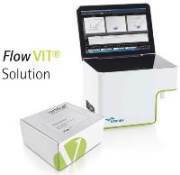 The actual evaluation is fully automated and takes only a few minutes thanks to the flow cytometer CyFlow Cube 6*. Additional innovative applications for the beverage industry are currently being developed. Another innovation by vermicon AG ist the VIT® Beer Screening test kit. This test kit allows an unambiguous identification of individual beer-spoiling lactic acid bacteria in beer and mixed beer beverages. Up to 16 species of bacteria can be specifically identified in a single sample. In contrast to other rapid detection methods, only living cells are detected with VIT® gene probe technology, i.e. dead cells do not cause false-positive results. Finished products as well as samples from all stages of the brewing process, including yeast propagation, can be examined. BrauBeviale, the capital goods exhibition for the beverage industry, will be held from 13 to 15 November, 2018 in Nuremberg, Germany. vermicon AG will be presenting its innovative solutions for industrial microbiology in Hall 4, Booth 305. J2O’s favourite limited-edition flavour, J2O Glitterberry, is back and this year it will be in-store much earlier than ever before. Available now, this allows retailers to add a festive sparkle to their stores whilst maximising seasonal sales opportunities such as Bonfire Night, Halloween and Christmas. Last year Glitterberry took the market by storm and climbed the ranks to be the third best-selling SKU in the Adult Soft Drinks category over the festive period. Although available for a limited time each year, Glitterberry made a huge impact in the category in 2017, when £9 out of every £10 spent on the flavour was incremental to the category. This emphasises the huge opportunity for retailers to offer their customers something different for the festive season. To support the relaunch of Glitterberry, J2O’s brand ambassador, Mojo, a cheeky cockney alpaca, is back again to remind consumers why J2O is at the heart of key social occasions. In the run up to Christmas, Mojo will be back on air with a new, exciting advertising creative comprising of a 10 second Glitterberry edit that will feature on TV nationwide. This will be supported by a heavyweight shopper campaign, with a variety of in-store initiatives designed to encourage shoppers to ‘Find their Mojo’ with J2O throughout the festive season. Limited edition Glitterberry is a delicious blend of grape, cherry and winter spice flavours fused with edible gold glitter to provide an exciting festive drinking experience from the number one Adult Soft Drinks brand in the UK. Phil Sanders, GB Commercial Director, At Home at Britvic commented: “ J2O is growing from strength to strength, with an average of five J2O products being sold every second, so it’s no wonder that customers keep returning, so much so that J2O has the highest loyalty levels within Adult Soft Drinks. We are excited to be on track for another fantastic festive season - especially with £2 in every £5 spent on J2O within the Adult Soft Drinks category in the 4 weeks leading up to Christmas. A proactive, inspired work culture and ongoing skill training are key factors in today’s beverage industry. Shifting demographics, growing urbanisation, globalisation, and digitalisation are all driving consumers’ drinking habits towards increased convenience, sustainability factors, and health benefits. To help manufacturers keep up with this highly demanding market, Sidel introduces its new e-learning portal, designed to train the company’s employees and the staff from customers’ side via a highly customised approach. The tool is an integral part of Sidel’s Blended Learning platform, where teaching is partly carried out digitally and partly face-to-face in hands-on training sessions. This results in greatly improving employees’ skills, safety, and productivity as well as contributing to minimise costs in the long term. Manufacturers active in the food, beverage, home and personal care industries are continuously investing in training their teams to reap a number of benefits: minimised reaction time, reduced production stops, and increased overall efficiency and safety in the workplace, to mention but a few. Not less important, regularly attending training sessions helps operators increase motivation, engagement, and commitment. To help customers achieve this, Sidel trains over 5,500 people every year to advance their skill sets and adapt to changes in the production environment. This personalised training includes online courses, on-the-job training, practical and classroom lessons, as well as production simulation via virtual reality by combining the state-of-the-art equipment with the skills of the workforce, getting the best return on investment. Blended Learning, Sidel’s integrated learning experience, combines face-to-face and online learning sessions in which the traditional face-to-face classroom focuses entirely on students’ development, while basic knowledge is acquired online via e-learning portals – an approach that has led to an impressive satisfaction rating among former participants. The learning process starts with a competence audit, driven by the Sidel training team: customers can make targeted investments and provide training exactly where it is needed most by defining their employees’ roles and evaluating their abilities. They do this by applying the “Skill Matrix”, consisting of a detailed and evolving roadmap of the competences needed to run their lines throughout their lifecycle. This method provides a clear overview of each operator’s existing skill level and potential gaps to be covered. Once the mapping process is complete, a multi-channel training path is suggested by linking specific courses in the catalogue. As a last step, performance is re-evaluated to ensure the success of the training. This highly customised program helps meet operators’ specific needs, while it is planned around the production schedule, so as not to impede on productivity of the customer’s line. Via personalised accounts on the platform, trainees experience a customised training offering. The Sidel training team guides each user, according to his or her needs, to fine-tune an individual learning plan. Thanks to an optimised and customised dashboard, which can flexibly accommodate different viewers’ profile needs – depending on the type of customer – trainees have a simplified user experience within the portal, making the training even more efficient and enjoyable. The customisation of the training is not only visible in the online training sessions but is also a key component of the on-site courses. The on-site education – an integral part of the process – is available either directly at the customer’s own facility on their own lines or at one of Sidel Group’s 13 technical training centres that are spread across the globe. There, through a face-to-face learning experience, Sidel experts will help customers complement practically what they previously learned via the e-learning portal. The high-quality valve, measurement and control components that GEMÜ produces are important elements of a technical processing plant. Proper installation and maintenance are therefore necessary in order for the plant to operate efficiently and in optimal cycles. Through a multi-stage training system and individual training models, customers are introduced to the functional principle of GEMÜ valve, measurement and control components in thorough detail. This consequently ensures that assembly and service personnel have all the necessary knowledge and tools to install and service these high-quality products. Exceptionally skilled technical trainers with many years of experience in the sector continue to pass on knowledge using the latest teaching methods, whether this takes place in the GEMÜ training centre at our site in Criesbach or at our customers' sites all over the world. 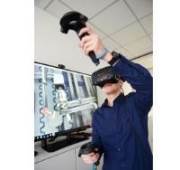 An innovative and specially developed VR (virtual reality) training programme for GEMÜ CONEXO is just one example of how we are facilitating even more in-depth (i.e. immersive) learning among our participants. Using an application, the necessary actions can be performed, studied and subsequently tested. Thanks to the complete immersion in the learning content, the knowledge that is passed on can then be summoned even quicker in the field. The training courses are carried out fully in line with the customer's individual requirements with regard to time, location and content. Training courses that accompany servicing, or take place directly in advance of this, are also possible. A well-trained squad of service engineers is not only in an ideal position to advise the customer on site in all matters relating to the commissioning of valve, measurement and control components, but can also support customers in inspections, servicing and upgrades. Repair and maintenance of GEMÜ components can be carried out at the Criesbach service centre or directly on site. To ensure the comprehensive efficiency of your machines, our service specialists are available for valve-related plant screenings and technical questions. If you wish, GEMÜ's qualified fitters can also assume responsibility for the component inventory, data management and retrofitting for CONEXO. With revenue of €1,672 million and Adjusted EBITDA1 of €480 million for the last 12 months to June 30, 2018, SIG is one of only two leading global system suppliers of aseptic carton packaging solutions. The aseptic packaging process allows beverages and liquid food to maintain their taste, appearance and nutritional qualities for up to 12 months without the use of refrigeration or preservatives. In 2017, SIG had an estimated 21% share of aseptic carton packaging volumes produced for liquid dairy, non-carbonated soft drinks and liquid food applications in its core geographies2. With its precision-engineered filling systems, SIG offers customers a high level of flexibility, with fast change-over times between carton sizes and shape formats, as well as the ability to fill a wide range of products with different viscosity levels and particulates. Through its carton sleeve technology SIG has become a market leader in aseptic carton packaging for liquids with particulates, which include fruit or cereal pieces in yogurts and non-carbonated soft drinks as well as chunky soups. These products have been developed to meet fast-growing consumer demand in a number of SIG’s key geographies. SIG’s customers are principally engaged in selling food and beverage products, which are characterised by resilient, low-discretionary consumer demand and are therefore less susceptible to economic cycles than more discretionary products. Aseptic carton packaging is expected to benefit from secular growth trends in the food and beverage industry, such as rising consumption in developing economies, favourable shifts in demographics towards smaller households, premiumisation and increasing consumer demand for convenience and on-the-go consumption. Other significant growth drivers include greater penetration of ambient packaging in higher-growth developing economies due to the lack of a stable end-to-end cold chain infrastructure, increased food and beverage e-commerce sales and growing consumer health and wellness awareness. These drivers favour convenient packaging that preserves the nutritional value of its content without preservatives. SIG is the only global aseptic system supplier with a proprietary, sleeve-fed system that has distinct economic and technological advantages over roll-fed systems and non-system suppliers. SIG’s sleeve-fed system can offer its customers a lower total cost of ownership as a result of the flexibility in changing carton sleeve sizes and shape formats on its filling machines, high overall production uptime and output due to the reliability of its system, and low waste rates both of packaging and the filled product. In addition, SIG’s system has superior capabilities for filling a wider range of liquids with different viscosity levels and particulates than the roll-fed systems with which it competes. SIG’s business model is based on its proprietary filling machines at its customers’ facilities, which typically can be used only with SIG’s proprietary sleeves and closures. The Company’s installed base of filling machines supports the ongoing sale of sleeves and closures. As of June 30, 2018, there were approximately 1,150 SIG filling machines in the field in over 60 countries, which filled approximately 35 billion sleeves during the preceding 12 months. In addition, over 550 field service engineers provide customer support either from locations within the customers’ facilities or from widespread on-call service locations, helping to ensure a high degree of efficiency and production up-time. SIG is a trusted partner for leading blue-chip customers and for established national and regional food and beverage companies. The Company sells its aseptic carton packaging solutions to over 270 customers worldwide and its relationship with its top ten customers is over 25 years on average. SIG is deeply involved in customers’ product development decisions, providing consumer-led innovation and collaborating in product formulation, as well as testing of new product concepts, with the aim of delivering the “Perfect Package” every time. Part of SIG’s strategy to drive increased customer demand for its products is to continue to introduce new and improved product and solutions offerings. These cover areas such as point-of-sale differentiation and positioning through new shapes and decorative features, consumer appeal and functionality through improved handling and pouring, and new features such as product traceability and digital marketing solutions. Through its formulation and filling capabilities SIG enables its customers to develop a range of products containing particulates. SIG also continually seeks to optimise the weight, format and design of its carton sleeves and closures, as well as to develop higher efficiency filling lines. Examples of recently launched innovations include the new premium packaging platform combismile, an innovative single-serve solution designed to meet growing consumer demand for on-the-go food and beverage consumption; Heat&Go, the leading microwaveability solution among aseptic carton packs capturing demand for easy-to-prepare warm and hot drinks as well as liquid food; and combiblocXSlim, a small-format beverage packaging providing a low-cost option relative to other substrates. SIG’s attractive business model provides resilient, as well as foreseeable and recurring revenue streams. This resilience is evidenced by its long-term track record of revenue and earnings growth, with high and increasing margins and strong cash flow generation. Between 2007 and 2017, SIG’s revenue and Adjusted EBITDA grew organically at CAGRs of 4% and 7%, respectively. The strong business model coupled with continued focus on operational excellence contributed to an increase of 700 basis points in Adjusted EBITDA margins over the last decade (from 20% in 2007 to 27% in 2017). SIG intends to continue its record of long-term growth through a strategy of penetrating attractive new geographies and fast-growing niche categories and to pursue new, as well as expand existing, customer relationships. Substantial resources have been committed to improving SIG’s go-to market approach and sales force effectiveness, as well as its ability to offer a variety of high quality aseptic packaging products and solutions across regions. SIG’s expansion into attractive geographies where it has little to no presence today will also help to drive future growth. The Group Executive Board - led by Chief Executive Officer Rolf Stangl and Chief Financial Officer Samuel Sigrist - is highly experienced, with its members averaging 11 years with SIG. Together with the global workforce of approximately 5,000 employees, the management team has a strong track record of growing the business by building long-term customer partnerships, developing new technologies and expanding into high-growth countries. At the same time, the team has increased profitability through a focus on operational excellence, continuing cost optimisation initiatives and investing in higher value end-products and regions. SIG’s Board of Directors is expected to comprise eight members who all have highly relevant experience and will be non-executive directors. The Board of Directors will be chaired by Andreas Umbach with further independent members including Matthias Währen (expected Chairman of the Audit and Risk Committee); Colleen Goggins (expected Chairwoman of the Compensation Committee); Werner Bauer, Wah-Hui Chu; and Mariel Hoch. In addition, two Onex representatives are expected to be on the board: Nigel Wright (expected Chairman of the Nomination and Governance Committee) and David Mansell. Corporate responsibility is at the core of SIG’s operations. The Company aims to pursue a net positive corporate footprint in the long run by contributing more to society and the environment than it takes out. SIG’s EcoVadis Gold status in the supplier sustainability rating put it in the top 1% of 30,000 participating companies in 2017. This rating is based on a detailed independent assessment of SIG’s policies, processes and performance based on specific criteria relating to the environment, society, ethics and the supply chain. SIG strives for certified sustainable supply of all materials, products and services. All of SIG’s liquid packaging board, its main raw material, is purchased from suppliers certified by the Forest Stewardship Council (“FSC”) and, to date, it is the only aseptic carton provider to announce that it offers 100% of its packs with the FSC label on the pack. SIG’s cartons are fully recyclable and have a 70-80% average renewable content. SIG has also launched innovative products such as the EcoPlus pack, which has a 28% improved CO2 emission impact compared to comparable packages in a similar format, and the SIGNATURE PACK, which is the first aseptic carton pack linked to 100% plant-based renewable materials via certified traceability and mass balancing. SIG’s goal is to implement an attractive and sustainable shareholder return policy by providing a recurring and sustainable dividend to shareholders. In 2019, SIG expects to pay a dividend of approximately €100 million relating to the financial year ending December 31, 2018. From 2019 onwards, the Company plans a pay-out ratio of between 50% and 60% of Adjusted Net Income3. The intended IPO is expected to consist of a primary offering of approximately €1 billion. The expected net proceeds from the primary offering are intended to be used to delever the Company’s balance sheet to a target leverage ratio of 3.00-3.25x following the closing of the IPO. In order to further increase the Company’s free float, the base offering may be complemented by a potential offering of existing shares held by its current owners, including funds advised by affiliates of Onex and certain members of management. In addition, a standard over-allotment option is expected to be granted on a number of existing shares. BofA Merrill Lynch, Credit Suisse and Goldman Sachs International are acting as Joint Global Coordinators and Joint Bookrunners for the planned IPO. Barclays, Citigroup, Morgan Stanley and UBS Investment Bank are acting as Joint Bookrunners, while UniCredit Bank AG and Vontobel are acting as Co-Lead Managers. Rothschild & Co. is acting as independent financial adviser to SIG on the IPO. Barrio Brewing, led by Arizonans Dennis and Tauna Arnold, has a history that dates back to 1991 when the couple opened up Tucson’s first full mash brewery. Twenty-seven years later the duo is going strong as the longest-running independent brewer in the state and is stepping up its retail reach by packaging its beers in environmentally-friendly aluminum beverage cans from Ardagh. Key Barrio craft beer brands such as Barrio Blonde, Blanco and Rojo join Citrazona, Mocha Java Stout and many more in providing beer quality enthusiasts a full slate of choices now available in more than a few hundred well-respected bars, restaurants and stores across the state. Strengthening the distribution goals of the company is the choice to package these beers in aluminum cans, which are filled faster and shipped and displayed more efficiently as cans stack easily so there’s no wasted space in trucks or on retail shelves. SIG is the first in the industry to produce all its packs using 100% renewable energy – electricity and gas – at production sites worldwide. By effectively eliminating greenhouse gas emissions from production, this represents a major milestone on SIG’s journey to go Way Beyond Good by contributing more to society and the environment than it takes out. SIG has met its 2020 goal to source 100% renewable energy and Gold Standard CO2 offset for all non-renewable energy at production plants two years early. The company made the switch to 100% renewable electricity in 2017 and is now sourcing renewable alternatives for the remaining energy used in production that comes from natural gas. SIG is purchasing biogas certificates that are certified to the recognised GoldPower® standard to offset 100% of the natural gas used at its production sites as of 1 January 2018. With no viable option to source renewable biogas directly, SIG is sourcing it indirectly instead by supporting projects to construct and operate waste-to-energy systems in China, Thailand and Turkey that capture gas generated at landfill sites and use it to produce renewable energy. Landfill gas from decomposing waste includes large amounts of methane, a potent greenhouse gas. Preventing this gas from escaping into the atmosphere helps to avoid harmful climate impacts. The projects are certified to the GoldPower® standard which verifies that they will not only deliver measurable greenhouse gas emissions reductions, but also create benefits for local communities, such as air or water quality improvements or job opportunities. All other remaining greenhouse gas emissions from production sites, such as small amounts released in the printing process, are also being offset to completely eliminate greenhouse gas emissions from production. The switch to renewable gas will save an estimated 28,600 tonnes of CO2 equivalent emissions per year. This will make an important contribution towards SIG’s science-based targets to cut Scope 1 and 2 greenhouse gas emissions by 50% by 2030 – and by 60% by 2040 – from the 2016 base-year. By reducing the climate impact of SIG’s solutions, this latest step to go Way Beyond Good will also help customers cut the lifecycle impacts of their products and meet their own sustainability goals. The Beviale Family is extending its global network in beverage production and welcomes SEA Brew as its official partner with immediate effect. South-East Asia's annual conference and trade fair for the brewing industry is an itinerant event that has already been successfully held four times. The aim of the partnership is to combine the resources of the two established trade fairs and mutually develop new markets. This marketing alliance will allow the Beviale Family to further expand its presence in South-East Asia. Charles Guerrier, founder of SEA Brew, had this to say: “We are excited to partner with the Beviale Family and be part of their global network of international beverage and brewing trade shows. This cooperation will help grow awareness of the opportunities emerging within Asia for both brewers and industry suppliers and help unlock the region’s potential”. SEA Brew, the annual Southeast Asia Brewers Conference & Trade Fair attracts brewers, distributors and investors from across the Asian region. They come together to exchange ideas and gain insights from global experts into the latest technological innovations in order to keep up with the fast-paced developments of the industry. The conference and attached trade fair was established in 2015 to support the growing demands on both production and distribution in a rapidly developing industry. In line with being a truly regional event, SEA Brew moves to a new host city every year. The Supervisory Board of the global REHAU Group announces that William Christensen (photo) was appointed the new CEO of REHAU. Christensen was previously the Chief Marketing Officer and is replacing Rainer Schulz, who has run the company since 2010. “We are very pleased that William Christensen with his international management experience is taking the helm”, says Jobst Wagner, President of the REHAU Supervisory Board. Christensen has been with REHAU since April 2016. The 45-year-old completed his studies in the USA and, prior to joining REHAU, among others served on the Group Executive Board of Geberit, where he was responsible for International Sales. The new CFO will be Kurt Plattner, taking over the responsibilities of Dieter Gleisberg. Plattner has been with REHAU for 25 years and was recently Head of Treasury, Controlling & Finance at REHAU’s head office in Muri, Switzerland.